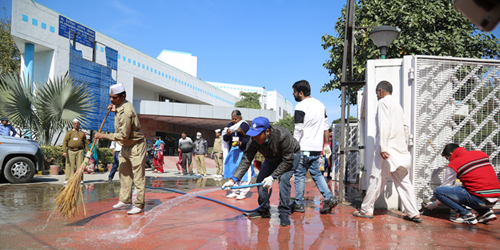 With the divine blessings of His Holiness Satguru Baba Hardev Singh Ji Maharaj, a cleanliness drive was organized at Nirankari Sarovar Complex on January 24, 2016 in which nearly 350 volunteers participated. 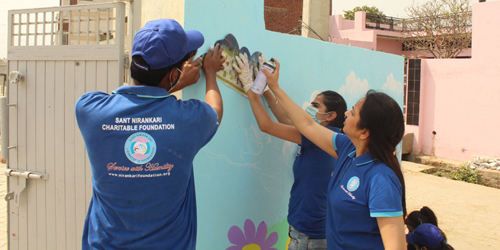 The drive began with the placement of banners and quotations at entrance and exit points of the complex, along with various vantage points inside the complex in order to make people aware about the importance of cleanliness in our daily life. Subsequently, at 08:00 am volunteers started gathering at the assembly point which was followed by the prayer seeking blessings from His Holiness. 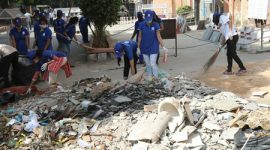 This was followed by the instructions and guidelines wherein various zones were allotted to different teams each consisting of 20 volunteers. 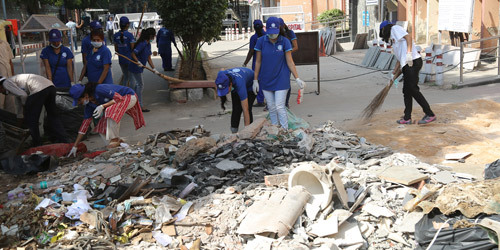 Cleaning materials such as brooms, hard scrubbing brushes, mops, buckets, spades, detergents, etc. 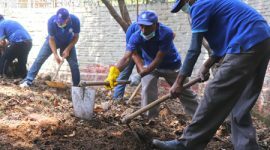 were distributed to these teams in order to assist them in this cleanliness drive. 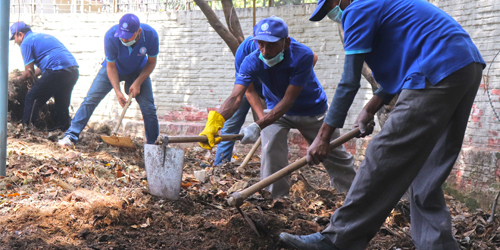 Public areas, parks, benches, were cleaned properly and the areas which needed attention and maintenance were repaired with help of masons, plumbers and electricians. 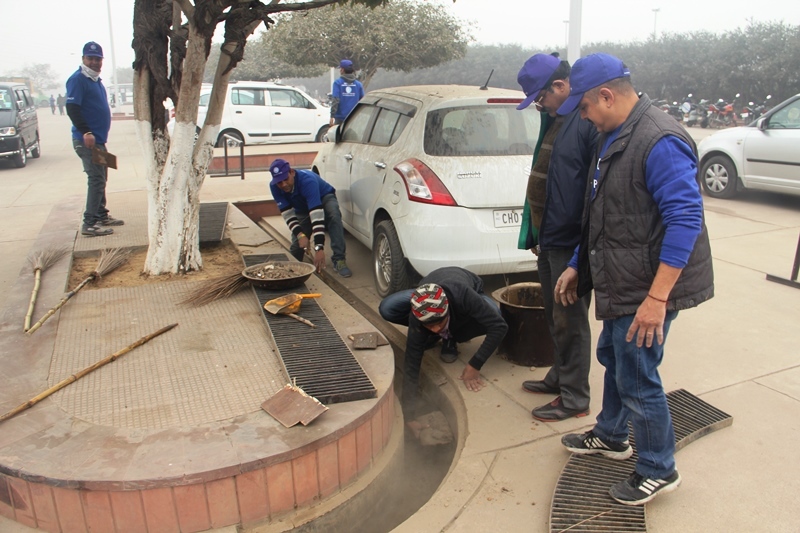 The cleanliness drive concluded at 02:00 PM at the assembly point wherein the refreshments were distributed among the volunteers.